Ad fraud is a serious threat to the advertising ecosystem. It’s one we’ve been deeply committed to solving over the years, investing significantly in technology and expertise to keep bad ads and bad traffic out of our ads systems. 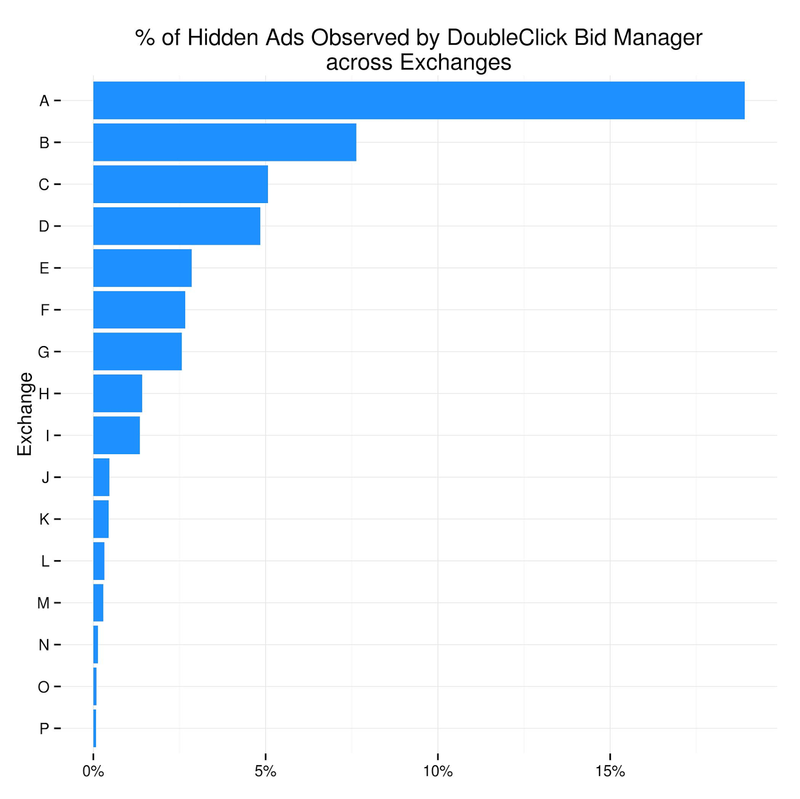 Today we’re adding to those investments with a new feature in DoubleClick Bid Manager that automatically prevents advertisers from buying hidden ad slots, built from our spider.io technology. What is a hidden ad? Many in the industry are familiar with ad viewability, which is a measure of whether an ad was actually shown on a screen. The vast majority of non-viewable ad impressions are legitimate ads that are intended to be seen by a user, but were not viewed due to various ways people interact with content on the web. Products like Active View help advertisers and publishers address this by giving actionable reporting on ad viewability. Bad actors often create sites and stack multiple ads in a single ad slot (like a pile of magazines), where only the top ad is visible. Or, they may adjust the styling of page content to make ads completely invisible. The typical approach, however, is to create a very small iframe to serve ads into that’s impossible for a user to see. Practices like these have always been against our policies on the DoubleClick Ad Exchange. Thanks to the technology we’ve been investing in, we can detect this practice across the web. Our systems proactively blacklist suppliers of hidden ads, filtering them before they’re ever bid on, so advertisers won’t buy hidden ads. It doesn’t stop here. Ad fraud is perpetrated by organized groups that constantly change tactics to defraud the industry for their own gains. That’s why we’re always researching and updating our defenses to ensure advertisers are getting the media they intend to purchase. Stay tuned for more updates as we continue refining our tools to promote a healthy, safe advertising ecosystem.